There is a big line up of cars in front of the border. Some drivers got out of their cars. This will take a while, I think.. We join the queue but some men tell us that we can pass by the cars. At the border control a man opens the window and within a few minutes we are in Albania! A country that I (Robert) has been looking forward to for a long time, because here the culture will change even more. In the first big city, Shkodër, we stand in front of a door with a large image on the side with bicycles and the letters WS (WarmShowers). Also men on the corner of the street point us to this door. A guy, Sven, from the Netherlands opens the door. He is cycling through Europe. 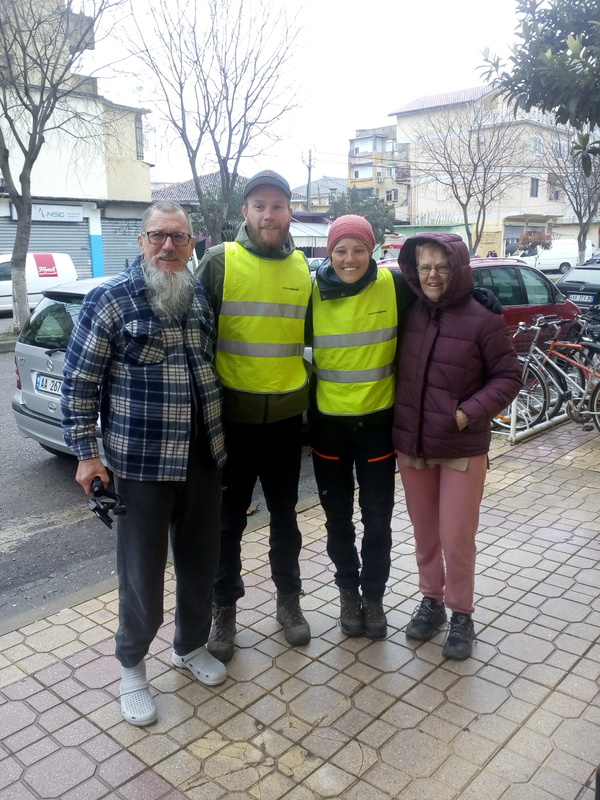 There are also two Belgians who are cycling from Greece to the north of Europe. We didn’t see any other cyclists for seven weeks and now we are in a house full of cyclists. We stay with Chuck and Susan from the United States. They are retired and ended up here during their cycling trips, to stay for the winter. The next day Tony from France arrives, he is on his way to Japan. We like it here and we stay for two days. In the past two weeks we have cycled for only five days. It’s time to continue.. Unfortunately it snows the next morning, it’s cold and the wind is blowing. We decide to stay for another day. There is plenty to see on the way. There are many people on the street, stalls, mosques, people on donkeys and shepherds with their sheep. Albania feels like a mix between East and West for us. Everywhere people wave or honk at us. The first two days we cycle on the main road, but that wasn’t too bad. The traffic is not that fast and they give us enough space. The further we get to the south, the nicer and calmer the roads become. 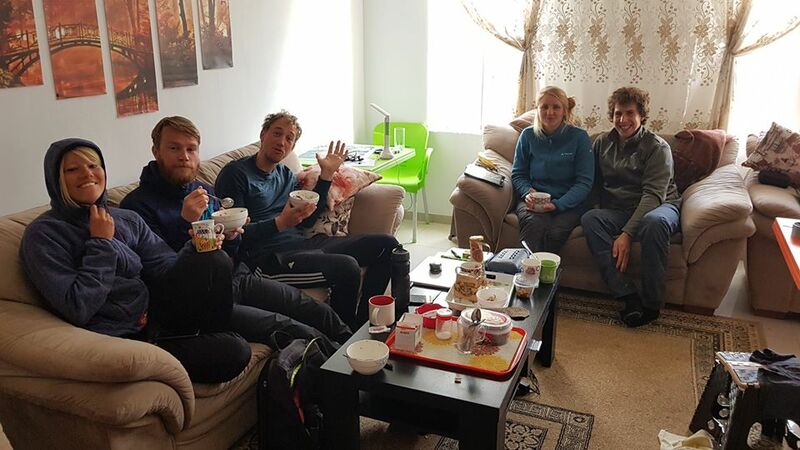 When we cannot find a camping spot, we ask people at home and a little later we sit down with a glass of wine to watch the football match Albania – Norway. We would like to go to the Osumi Canyon. 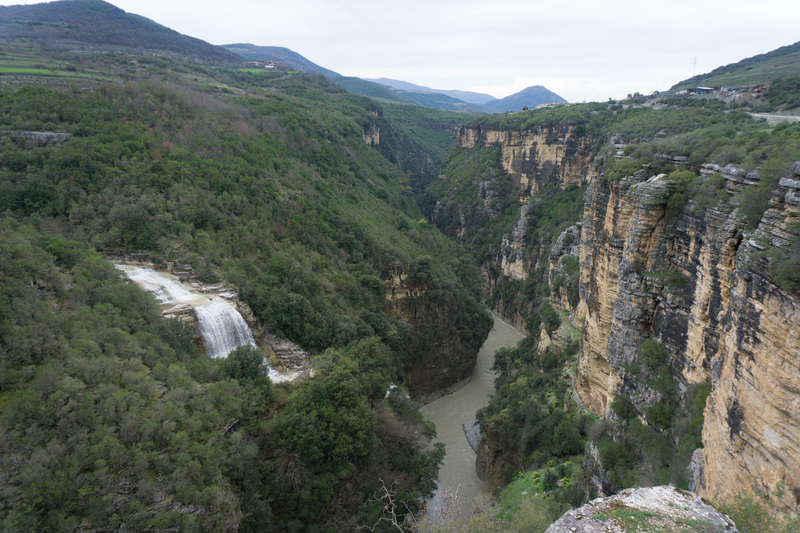 The problem is that the normal road stops in the Canyon and we have to cycle back about 60 kilometers. 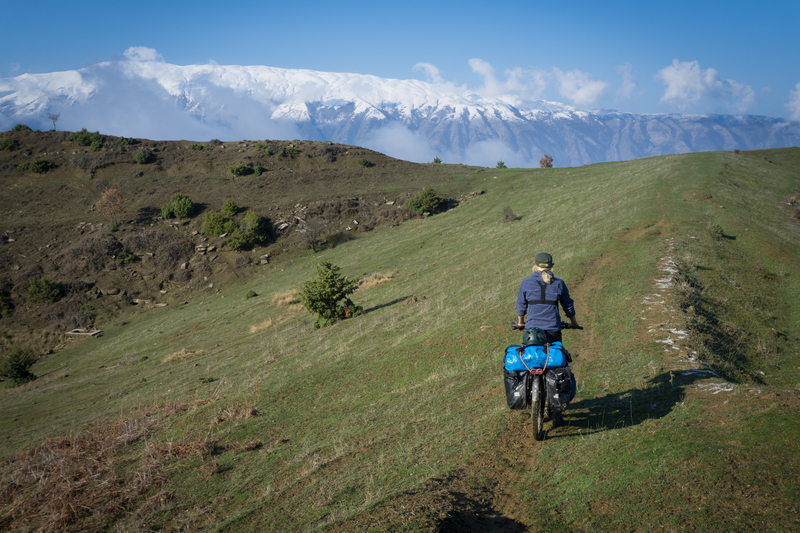 We see two unpaved roads on the map that lead to the Permët valley. A road of about 40 kilometers, of which we are told that the quality is very bad. We also see a road of about 20 kilometers, but nobody can tell us anything about the quality. People often don’t know what we can do with these bikes. If a 4×4 off-road vehicle can do it, we can do it too. We decide to cycle the 20 kilometer road. We can still cycle the first five kilometers, up to a small village. We meet a man in the village. Even with a few words of Albanian, we cannot understand eachother. However his hand gestures predict not much good for the rest of the road. After the village the car tracks make way for footprints of sheep. We are starting to worry now. We really don’t want to cycle back for two days. The path becomes very narrow and we can just pass by the mountainside. We push the bikes further uphill and a little later we see a landslide. We get all the stuff off the bikes and climb over it. Nobody has come this way for years, except shepherds with their sheep. At the highest point of the road, about 1,000 meters, we have a beautiful view over the snowy peaks. 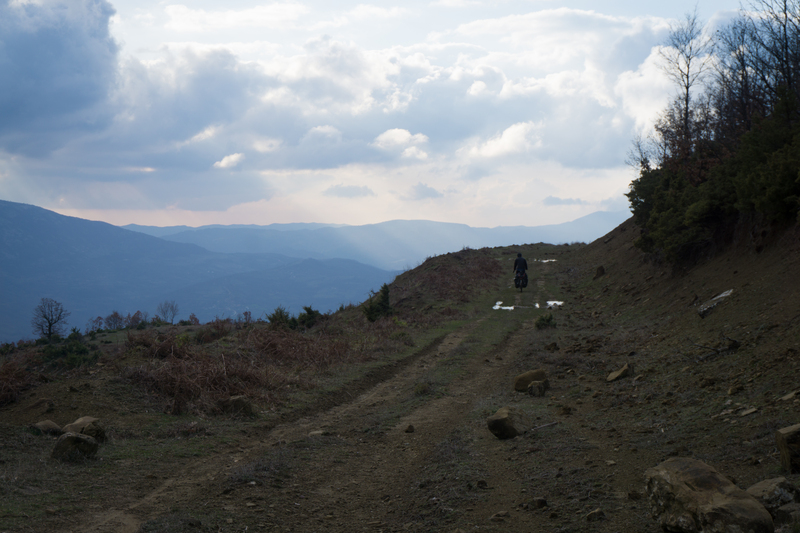 We decide to pitch our tent and the next morning we descend to the small village of Ballaban. When we cycle past a sheep herd, we are attacked by three dogs. One on the left and two on the right. We walk between our bikes and use the bikes as a sort of shield. The dogs keep following us and there seems to be no end. They remain at a reasonable distance but it’s still frightening. 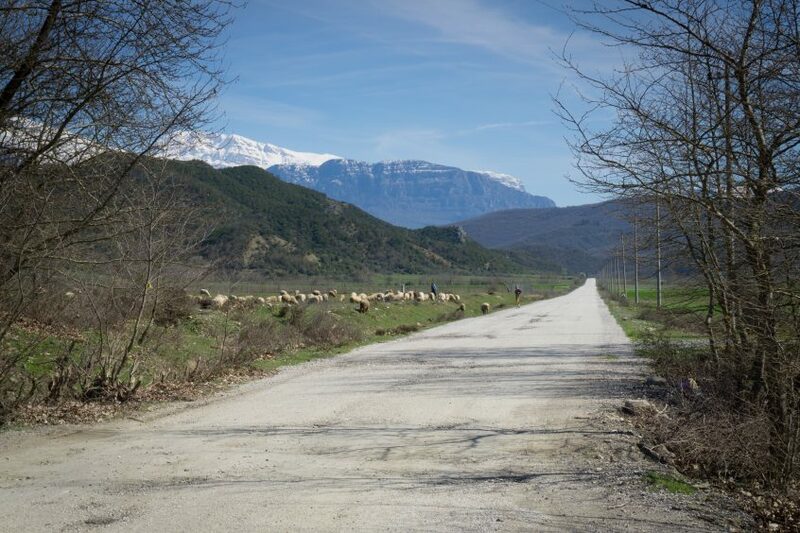 From Ballaban there is a beautiful newly paved road that leads to the Permët valley. 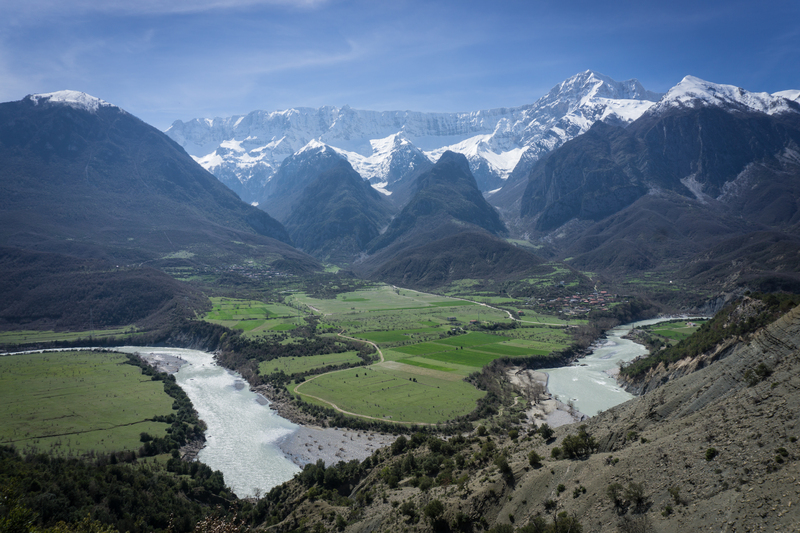 A beautiful green valley with mountains of more than 2,000 meters high in the background. There is also almost no traffic here. 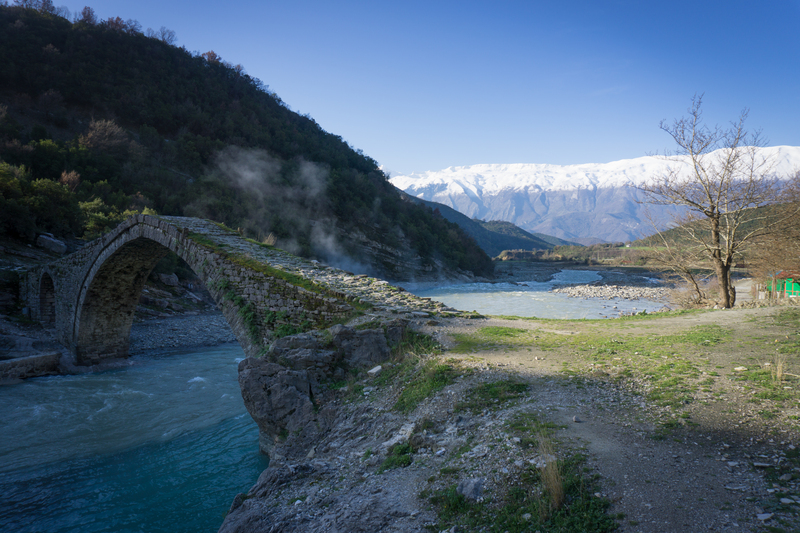 Our last day in Albania we stay at the Benja hot springs, a very nice place with an old bridge from the Ottoman era. An ideal place to set up the tent and wash ourselves and our clothes. The next day we enjoy the valley and we cycle into Greece. Off to Athens! 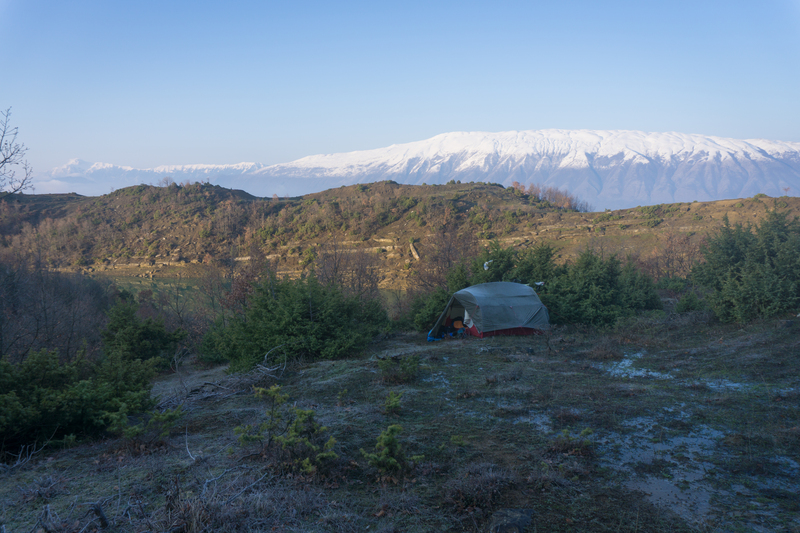 If you would like to see some more pictures of our trip through Albania, click here.